Mr B was aged 60 at the time of his haemorrhoid surgery. The stapled anopexy surgery involved removing the internal rectal lining and then stapling this in place. Mr B’s surgery took place at The Kent & Canterbury Hospital in Kent. Mr B was discharged home after his surgery despite the fact he had not yet passed urine or opened his bowels. In the following days he suffered from acute urinary retention (inability to pass urine), difficulty with defaecation and immense rectal pain. He returned to hospital two days after his surgery, in acute urinary retention and was catheterised. He was discharged again, but returned two days later with acute pain due to being unable to open his bowels. He was given a suppository and was discharged again. He attended hospital for a fourth time a week later in extreme pain and was given antibiotics and pain relief. The fifth attendance occurred four days later; he was nauseous and vomiting. He was diagnosed with a urinary tract infection due to the urinary catheter. He continued to feel very unwell for that whole month. Over a month after his surgery he saw a colorectal surgeon on a private basis. He was by then suffering with constant leakage, rectal bleeding and pain. When he was examined, the surgeon found that the staple line had been put in the wrong place and it was too low. He recommended Mr B undergo an examination under anaesthetic and a stricture dilation which took place a couple of weeks later. Mr B required a further two stricture dilations and started to self-dilate from 6 months after his original surgery. His symptoms did improve although he was left with ongoing small leaks, rectal and perianal pain, a feeling of incomplete evacuation, frequency and anxiety about whether he would need to open his bowels when he was away from home. This claim was initially commenced by another firm of solicitors who had confirmed that Mr B did not have a case in negligence. 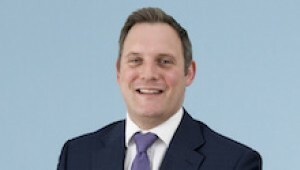 James Cahan, specialist medical negligence lawyer, was instructed by Mr B to pursue a claim for damages for the personal injuries he had suffered. Reports were obtained from a consultant colorectal surgeon, urologist, and psychiatrist, after which James was able to negotiate a an out-of-court settlement totalling £142,000 for Mr B to compensate him for his pain and suffering as well as his loss of part and future income and medical expenses. James Cahan specialises in colorectal and urology cases. If you would like to ask James a question about a potential case, or if you have a general query about any clinical negligence, contact James at Thomson Snell & Passmore solicitors on 01892 701289 in confidence.